For years Dallas residents have enjoyed the knowledge that Top Gear Locksmith Dallas TX is only a phone call away if ever they need any locksmith services. Top Gear Locksmith and their network of licensed affiliates experts are always happy to help with any locksmith situation, and by always we mean all day every day. Top Gear Locksmith passionate team works 24/7, every day of the year – including holidays and weekends. The reason they make themselves available to their customers at all times is the nature of their work and the understanding that locksmith services cannot wait. Locksmith emergencies can happen at any time and they have to be dealt with immediately. 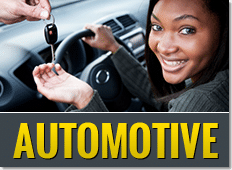 What Does Top Gear Locksmith in Dallas TX Do? Whether you are locked out of your home and you need expert locksmith technicians to cut a key for you or you are moving to a new home and you want to change the locks Top Gear Locksmith team will help you. Just give them a call and they’ll have someone at your side quickly in an emergency or you can schedule a site visit where their experts will help you assess what you need to keep your home secure, whether it is to change the locks on the doors, rekey all locks or to set up a security camera or alarm system for your house. 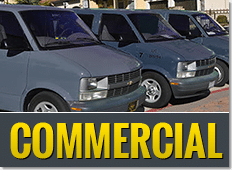 We at Locksmith Dallas company understands that your business is your livelihood, therefore they strive to meet the high expectations of their customers. The security of your business is of utmost importance and should be taken very seriously. From locks and keys to the front door, the offices, the filing cabinet, and even the post box – Top Gear Locksmith and their network of licensed affiliates can help. It is better to discuss whether locks should be changed or rekeyed and your different options. 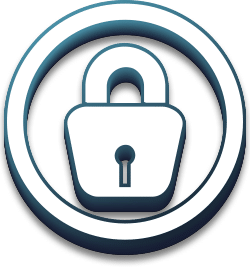 In businesses, different levels of security are needed and each has its own solution, from different types of locks and keys to state-of-the-art security systems. The company’s experts are trained to assess the needs of its customers. They are always happy to do site assessments and discuss your security needs with you. Most people have worried about being locked out of their cars more than once and even though it might sound strange this occurrence is actually quite common. It’s important to remember that if you ever find yourself locked out of your vehicle in Dallas, whether you’re at home or somewhere else, just give Top Gear Locksmith a call and a reliable technician will be on his way to assist you in no time. Top Gear Locksmith and their network of licensed affiliates experts work around the clock so they can be there to help you in all emergency locksmith situations. If you’ve been locked out of your home, your office or your car they can help! Their technicians bring the office to you – so if your key is broken or lost they can duplicate a key for you right there in the van. Top Gear Locksmith and their network of licensed affiliates experts in Dallas Texas is safe experts. They can help you select the safe for your needs. Whether you want a small safe for your home or a larger one for your business, they can help you select the perfect safe for your needs. Whatever your locksmith needs Top Gear locksmith can help you. With expert technicians and advanced technology your problems and needs will be history in no time. Stay Tuned! You are welcome to visit our Google+ business page. Top Gear Locksmith is a local Dallas business that is proud to provide excellent locksmith services to local Dallas residents and businesses. They provide a range of locksmith services including those of an emergency nature and that influences the way in which they work. Due to the emergency nature of the work, Top Gear Locksmith and their network of licensed affiliate works 24/7 every day of the year, in order to provide the people of Dallas with the best emergency services whenever needed as well as other locksmith services which can be arranged to suit your busy schedule. 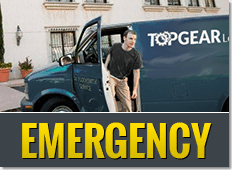 In emergency situations, Top Gear Locksmith guarantees a fast response time to all locations in Dallas. The company can also provide a fair price quote over the phone so that you won’t be surprised later. The Top Gear Locksmith team is made up of a bunch of enthusiastic locksmiths. All professionally trained and certified. They work according to all industry standards and takes pride in providing very high-quality work. Locksmithing is not only their job, it is their passion and they are constantly learning more about the locksmith industry and the tools of the locksmith trade. Their main objective is to provide service that will make you happy. What locksmith services does Top Gear provide? Top Gear Locksmith and their network of licensed affiliates experts provide a wide range of services, including emergency locksmith and roadside services as well as residential and commercial locksmith services, to keep your home and business safe and secure. Emergency locksmith services are needed in cases of auto, home, and commercial lockouts. Keys are lost or broken and people often find themselves locked outside in the cold and rain or in the hot sun, truly not a pleasant situation. Top Gear’s expert team will come to your location and will have the right equipment needed to cut new keys or change locks right there. It is important to remember in these situations that the team is always available to help you. Always pleased to explain further about the company’s locksmith services and to provide customers with a free price quote – you’ll be surprised to hear the competitive prices. When I had problems with one of my door locks, I immediately called Top Gear Locksmith for a residential locksmith services. I do not want to leave my home unlock because burglars can break in any time, even if there is someone staying. Thus, I approach Top Gear Locksmith to change my door lock as soon as possible. To my surprise, the technicians arrive in really fast response time. They came introducing their selves and suggesting the best types of door locks to have. Aside from that, they gave me assurance that my preferred lock is good at protecting my simple haven that is why I am confident that no burglars can get access to it. I admire Top Gear Locksmith’s commitment and dedication in giving the best for their customers like me. I strongly commend them for the resident locksmith service I had and I would definitely call them any time when I am faced with this kind of problem sooner or later. I left my key in the car and it is the worst experience I had. I tried to unlock the door yet it does not help at all. Thus, I approach Top Gear Locksmith right away. My friend once told me that they had the best car lockout service so I gave it a try. They arrive ASAP, which is their guarantee to customers, and they did not disappoint me with their great customer services. They assess the car first and unlock its door through their tools. I never thought that it would be so quick for Top Gear Locksmith Dallas TX to give a car lockout service. With less time of waiting, I was able to go to my workplace without sweating and worrying about being late. I definitely recommend this company for their outstanding and affordable services in Dallas. If you have lockout problems with your car, Top Gear Locksmith is available 24/7 so they can respond on that same day.